If you’re business is a new start-up maybe your turnover and profits aren’t quite what you want them to be yet. Or maybe you haven’t had enough time to devote to the accounting side of your new venture as you should. Either way, we offer a fantastic budget accountancy service that will ensure you remain compliant with all statutory requirements without breaking the bank. We can prepare and submit accounts and tax return for a fixed fee and with a fast and efficient turnaround. To estimate, it can take a minimum of 4 hours or possibly more, depending on the presentation of your records. I have set this Hourlie to cover 4 hour's worth of work. If it takes longer, you can buy another Hourlie or I will raise a Proposal to cover this. Once completed , we will email you the accounts for approval. When the account is approved by your company director ,we will then file it to companies House and HMRC respectively. We will also send a copy of the full accounts by email for you to retain for your records along with all computations and submission records. Please provide full details of your requirements, deadlines and details of how the records are presented (e.g. invoices, accounting book, spreadsheet or accounting package such as Xero, Sage etc). If you have any questions, please contact us, before buying this Hourlie. Shamsul is very professional and he provides a very quick turnaround. HIGHLY recommended! 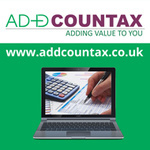 Excellent service and I am pleased to have finally found my long term accountant! Thanks Rav. It has been a pleasure working for you. Thanks MA. It has been a pleasure working for you. Shamsul was really easy to work with and provided the accounts service in the promised timelines. Also where there were a few minor discrepancies in my accounts he came with solutions and quickly moved / amended the offending entries in freeagent. Sorted out freeagent and submitted our tax return very quickly. Recommended! Excellent work, listened to what was needed, offered a solution and then delivered in less than 24 hours. Not much more you can ask, thanks Shamsul.